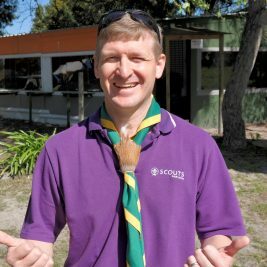 As we strive to recruit new adults and retain the ones within our organisation, we decided to shed some light on a few of our adult volunteers who go over and above to serve not only their communities but also the Scouting Movement. After turning 18 Devon Bowen joined his local Rover Crew. 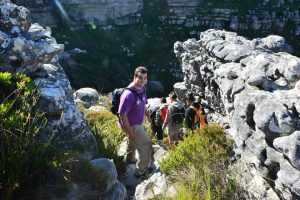 Today he is still an active Rover with the Table Bay Rover Crew in Cape Town, but has also embraced the role of Regional Team Coordinator for the Rovers in the Western Cape. 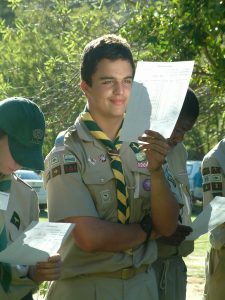 Devon started 1996 as a Cub with the 1st Bothasig Cub Pack. Since then, he has been an integral part of the SA Scouting family. “Scouting is something special”, he states with a huge smile. “As a child I gained a lot from Scouting. I learned to be independent and a better leader. I learned to work well in a team and to coordinate projects. These experiences had a positive effect on my life and now as an adult I want to give this to others” he says.